A beautiful review Jacqui, you provide such a clear flavour of the novel and an insightful depiction of the character Frances, it does indeed seem like Anita Brookner has a deft ability at capturing that nuanced pain of isolation and broken dreams. Wonderful choice of quotes to illustrate what you’ve clearly depicted with your own insightful prose. Thanks, Claire. It’s a tricky novel to describe, partly because of the portrayal of Frances as a character. Her emotions and behaviours often seem quite contradictory, and yet everything she experiences feels so believable. I guess it’s a reflection of how bruising life can be when we get drawn into the lives of others, giving ourselves over to the whims of people whose motives may be less genuine than our own. Excellent review. The horror of that night-walk! Yes! I feel traumatised just thinking about it…what a terrible experience for Frances. This sounds really good Jacqui! I am quite impressed by the quotes, Brookner clearly has a keen eye and it comes across in her writing. I have never read any of her novels, but I am persuaded enough to give her a try. This looks like the perfect one to start with. It’s brilliant, so perfectly crafted and observed. Her first two novels are also very good, but this feels like a step up in consistency – it feels more even, if that makes sense. There are elements from the first two novels that I really love, particularly individual scenes or her portraits of certain minor characters. But here, everything feels more together and ‘complete’. Definitely a novel I would recommend to anyone looking to try this author. I read this many years ago and I think I was too young to fully appreciate it. The quotes you’ve pulled out are so meticulously crafted in their economy but convey so much, particularly that last one. A fine review, Jacqui. Thanks, Susan. Yes, meticulously crafted is bang on. Everything feels so precisely observed, both the details and the emotions. I wonder if she’s an author best appreciated with some experience of life under one’s belt? I read Hotel du Lac many years ago when I was too young and inexperienced to fully understand its nuances and subtleties. Maybe it would seem very different if I were to read it again now! I’m sure that’s true for me. I think I’ll dig my ancient copy off the shelves. I read this a long, long time ago and loved it too. I was a librarian – and although by the time I read it I had a partner, it reminded me of my early twenties when I felt like the boring dull – and lonely – librarian and that sense of suddenly being part of things. So well done. I read a lot of Brookner in the late 80s and early 90s and have been wanting to read some more. Brookner captures that feeling so well, doesn’t she? That sense of the young ingenue being tantalised by the glamorous, exotic lives of the golden people. I think many of us can relate to that situation, either personally or via the experiences of friends and family. It might be an interesting one to re-read at some point, should you be inclined. She sure does. I would be inclined though I guess I should really read one I haven’t read before. This was one of my top reads last year and I enjoyed revisiting it in your fine review which captures the nuances of Brookner’s story and the complexity of her main character. i especially liked the chapter describing Frances’ nocturnal wandering through the London streets, Brookner at her best. Thanks so much Grier. I’m so glad to hear that you loved this novel – it seems destined to be one of my standout reads too! That long walk through the ghostly streets of London is so harrowing, isn’t it? You can’t help but feel frightened for Frances, particularly when she seems to be rooted to the spot. An absolutely phenomenal piece of writing on the part of Brookner. Great review as always. The characters and situation Sounds so well crafted. I think that I know people like the Frasers in real life. They do attract their followers. Sometimes those followers and up getting burned. Thanks, Brian. Yes, I think we can all relate to this situation in one way or another, even if we haven’t experienced it personally. As you say, it’s easy for someone like Frances to get burned or tossed aside by the likes of the Frasers, whenever they get bored. Thanks, Juliana. I think she’s well worth considering! If it’s any help, this is my favourite of her first three novels, the one I would most likely recommend to someone looking to give her a try. Fabulous review. I just checked and it’s more than ten years since I read this book. I remember it as one of the Brookner novels I liked most, though I had forgotten many of the details. I think I mix up some of the Brookner novels I read when I first started reading her books. I do love the way Brookner captures loneliness and disappointed lives. Cheers, Ali. There’s a lot to think about with this novel, mainly because of the depth of characterisation in the portrayal of Frances and her experiences of life. There is something slippery and elusive about it, and yet it also feels very precise. A very intriguing mix. You make this sound very tempting. *sigh* I guess I ought to give Brookner another try at some point. The last time was in, er, hurriedly checks Wikipedia, 1984, when she won the Booker with Hotel du Lac. Well, that was my first experience of her too, and it wasn’t a resounding success. While I liked the novel well enough, I couldn’t quite see why it had won the Booker. Looking back, I suspect I was simply too young and inexperienced at the time to fully relate to the central character’s experiences. Hopefully things would be a little different now…maybe I should try it again, just to see. Excellent review. 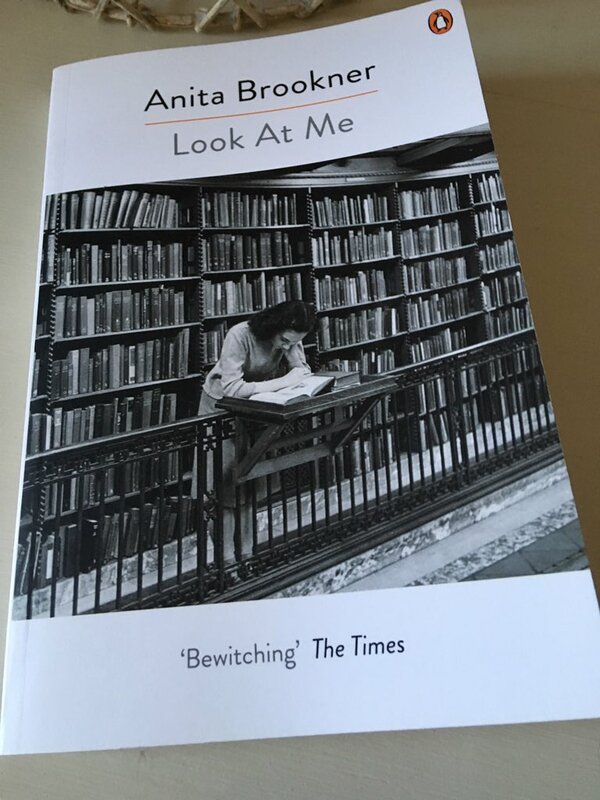 I’ve never read anything by Anita Brookner, but I’ll have to add this to my list. The characterization sounds nuanced and compelling, and the prose is wonderful. Thanks! I think this would a great one to try as it feels very representative of her style. It’s also the strongest of her first three novels, so you’d be plumping for one of her best. I do hope she works out for you. Such an excellent review, Jacqui. I’ve only ever read Hotel du Lac and I was vaguely underwhelmed. Her prose is lovely but I certainly don’t think she’s known for happy endings – not that I want or expect them! I actually have one of her non-fiction books on the shelves, but maybe I should give one of her novels another go! Cheers, Karen. I wasn’t blown away by Hotel du Lac, but then again I was probably too young and inexperienced at the time to really appreciate its subtleties. We’re talking the mid ’80s here, so I would have been in my very early twenties back then, way too foolish to *get* an author like Brookner! I do think she shares some traits with Elizabeth Taylor: the well-honed observational skills, the meticulously precise prose, the acute understanding of the pain of loneliness etc. etc. But then again there are differences too, particularly the way she captures a sense or anger or bitterness in her female protagonists. I certainly feel that with her second novel, Providence. Indeed. I do think she is worth another look. Her precision is quite frightening at times, almost forensic. It’s brilliant, isn’t it? So perfectly judged and controlled. I agree, Alix is such a destructive creature, all the more dangerous due to her gregarious nature. I read this after listening to Backlisted Podcast’s Andy Miller gushing about Anita Brookner over multiple episodes. I read this and Fraud before Backlisted’s episode on Look At Me. The description of Frances’s walk home after the awful last dinner party with Nick, Alix and crew is an incredible piece of writing. Yes, Andy Miller’s enthusiasm for Brookner’s work is very infectious! I’m a fan of the Backlisted podcast myself. And I agree with you about that horrific walk home through the lonely streets of London. As a piece of writing, it’s remarkably powerful and unsettling, a tour de force. Brookner’s death is a loss to the world of British literature. She’ll be missed. You’re very welcome; I’m glad you enjoyed it. Luckily I still have several of Brookner’s novels to look forward to, but those I’ve read seem strong enough to stand up to another reading. As you say, she will be sorely missed – a remarkable writer with a perceptive eye for detail. Great review, Jacqui. It sounds wonderful and I just checked, it’s on my piles. I’m very glad. It sounds like Frances wants people to look at her but is actually the one who is doing the watching. I think that’s a very good observation. One of the most fascinating things about this book is how contradictory Frances’ behaviour can seem at times – and yet, it all feels entirely believable. There’s a push-pull, repulsion-attraction thing going on between Frances and the Frasers which is fascinating to observe. I’m so glad you have it in you piles – would love to hear your take on it! Bother! This is one Brooker that I don’t have in my collection. I shall have to go a-hunting. Thanks for a beautiful review. Ha! You’re welcome. Sorry to be adding to your TBR pile, but it really is an excellent book – almost certainly one of Brookner’s best. And I have been so extravagant today! Five Books suggested some art books that I could not resist though I’m not exactly a teenager, (https://fivebooks.com/best-books/art-history-teenagers-john-harrison/) so I shall have to find ways to economise (that won’t include a book ban, of course). I think she portrays that aching loneliness so well. Do you have a favourite Brookner? I’m very partial to Hotel du Lac but also last year enjoyed The Latecomers…. I’ve heard great things about Latecomers in particular. It sounds a little different from some of her others. Thanks, Karen. I’ll take a look at your piece. Ah, looks like I commented on it at the time. No wonder it sounded familiar! I can see why you would want to quote so extensively from this volume. What a great writer. (She’s on my MustReadEverything list, but I don’t believe I’ve read this one.) Also, what a lovely cover on your edition. My copy is nowhere near so attractive! I think I’m only just beginning to appreciate her true brilliance, some thirty years after I first read her with Hotel du Lac! Everything about this feels so perfectly crafted, not a word wasted or out of place. Definitely a must-read if she is on your completist list. I love the covers on these new Penguin editions too, especially as they seem to fit the novels so perfectly. I’m a great fan of AB. Haven’t read this one yet but I have a copy. I’ll pick it up as soon as I’ve finished the Cyril Hare I’m currently reading. Strangers was a letdown, but I have a weakness for her first novel, A Start in Life, which, when I read it, triggered a binge-reading of Balzac ! Ah, yes. I can understand the desire to dive straight into Balzac after reading the novel! She seemed to have a knack for weaving that kind of elements into the fabric of her stories. I think there was something similar in Providence, a nod to the Romantics if my memory serves me correctly. Look at Me is my favourite of the four Brookners I’ve read to date, so I really hope you enjoy it too. In Providence, the main character, Kitty Maule, gives lectures on the Romantic Tradition but the novel at the heart of the story is really Adolphe, by Benjamin Constant (how very appropriate ! ), “interesting for its conjunction of eighteenth century classicism and Romantic melancholy”. Wonderful review Jacqui. This sounds so powerful and pretty devastating. Like you and Susan, I think I read Brookner when I was too young for her (Hotel du Lac in my 20s). I really need to give her another try. I’m glad I went back to her, I must admit. Reading her now in my fifties, it easier to relate to some of the characters, especially the lonely, isolated women who feel crushed by life’s cruelties. Alix is a piece of work, isn’t she? It takes someone w a bit of experience to see her true nature. Absolutely. In some ways, I’m quite glad I didn’t read this back in the days of my youth. As you say, it becomes easier to spot someone like Alix when you have a bit of experience under your belt. I knew someone a little like her once – all over you one day and then a complete blank the next. The inconsistency in this person’s behaviour was the hardest thing to bear. You never knew where you were with her.